Between 2000 - 2013, a minimum of 9 books bearing Frank X. Walker's name appeared in print, making him one of our most prolific poets. That's a really impressive feat when you think about it. Over the last decade at just about any moment that you would have encountered Walker, he had either just published a book or was just about to publish one. By the way, his most recent book Turn Me Loose was released last month. Walker and I share an interest in persona poems--him as someone who has written in the voice of others, and I as someone who has written about poets taking on the voices of others. His book Buffalo Dance: The Journey of York (2004) on York, the enslaved black man on the Lewis and Clark Expedition, even had a sequel, When Winter Come: the Ascension of York (2008). His volumes Isaac Murphy: I Dedicate This Ride (2010) and Turn Me Loose are comprised of persona poems. To the extent that commentators are constantly speaking of the "death" (or perhaps "deaths") of poetry, writers such as Elizabeth Alexander, Carl Phillips, Kevin Young, and Walker, all with fairly regular book publishing habits, are worth considering. 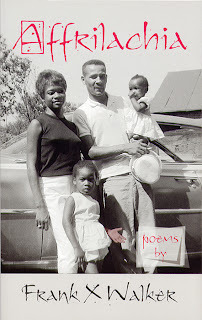 Getting even one book of poetry published, most poets will tell you, is no simple task, so poets who have produced more than six titles over the last 10 or so years certainly have a view of the life of poetry in ways that many might not. Of the more than 350 books of poetry in my personal collection and the more than 200 volumes that that I own published since 2000, Walker's work takes up an uncommon amount of space. Sure, I have several titles by Langston Hughes, Amiri Baraka, Lucille Clifton, and others. However, few, if any, of the poets who began publishing books in the last years of the 20th century and early years of the 21st century have produced as many individual works as the prolific Frank X. Walker.